So I’ve had great responses from everyone on my first post. Thanks all, love you. But there is one that takes the cake. I woke up to a message from my sister, telling me I had inspired her to write. She told me that I was free to do whatever I like with what she wrote. I’ve decided to share it here. It is beautiful, and I want others to see it as well. I appologize I cannot give her due credit, as it would possibly out me, when I’m still in the closet. I will try to remember to add her name once I am out. The only thing I feel the need to say more on is the relationships between the Doctor, Amy Pond, and Rory. For those unfamiliar with Doctor Who, the Doctor is known for having companions when he travels. The purpose of the companion is to give the audience someone to relate to, someone for the Doctor to explain what’s happening to. Amy Pond and Rory are the first companions for the 11th Doctor, Matt Smith. And now, here’s my sister. I keep thinking about my new sister… I say “new” but really my sister has been there all along. What I mean is that I grew up knowing that I had a brother and two sisters but I never knew that I didn’t actually have a brother. I had three sisters. If you’ve read my sister’s blog post about her transition you know that she is a Doctor Who fan. 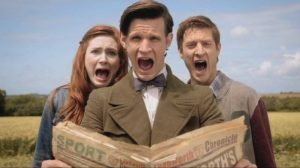 Well, you’ll only find the same here… I was motivated to write this because my sister’s experience, the experiences of friends, and this DW episode in particular; The Girl Who Waited. 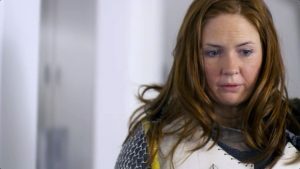 In this episode, Amy Pond is separated from the Doctor and Rory. Amy is caught in an accelerated time stream and when the Doctor and Rory come to save her they discover that she has aged by 36 years. Although she is hardened and distrusting after being left behind, they are able to convince older Amy to help them save her younger version. In the almost 35 years of her life, my sister was known as my brother. That too is a very long time to be trapped. The similarities between my sister’s life and this storyline are surprising to me. My sister IS the girl who waited. As a kid she waited, trapped in the wrong body while wondering why she felt different. As a young adult, she waited (still trapped) while realizing who she really was. She waited (yup, still trapped) for her family to accept her. Now, she is still waiting to show the world who she is and for society to accept her. I didn’t know that I had a third sister until March of this year. I love my sister, all of them for that matter, for all that she is and all that she does. 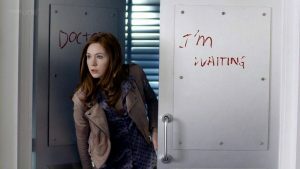 I wonder now about this girl who waited. I wish I had known her then, when we were younger. I would have sat down beside her, held her hand, and said., “let’s wait here together”. I remind myself that you probably can’t know something about someone that they don’t know about themselves. I am grateful every day that my sister did not become hardened or distrusting. She has exposed her true self in an incredibly vulnerable way and because of the support she has been shown, she has flourished. There are so many transgender people out there who feel that they can not share who they truly are and suffer because of it. I am eternally grateful that my sister will no longer suffer alone like that. Now, I feel like my sister is almost free after 35 years. Although there is still some waiting to be done, my sister is not alone anymore. I will always be by her side saying “let’s wait here together”.